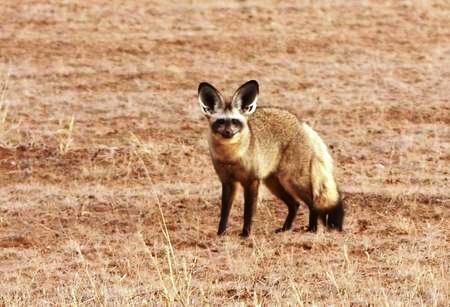 The Bat-eared Fox, Otocyon megalotis, looks very fox-like but isn't related to the other African foxes. It is mainly nocturnal or crepuscular spending the day either resting in its burrow or, as in the individual we photographed, sunbathing just outside the hole. They mate for life and form family parties with their offspring.